She's a mess! 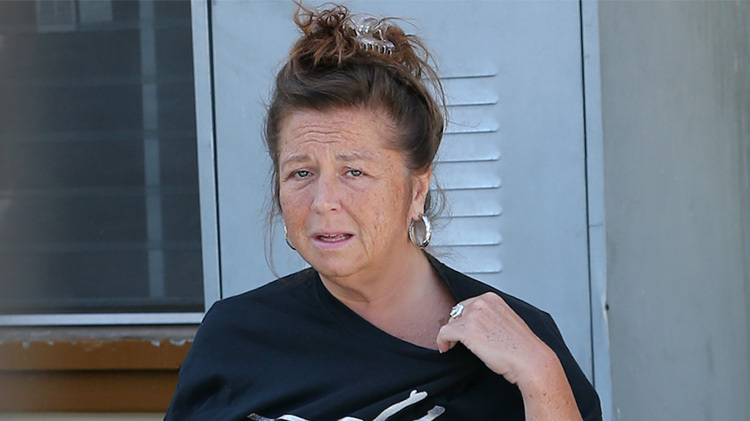 Abby Lee Miller was spotted for the first time since getting her nails done after leaving prison, and she was almost unrecognizable. TMZ caught the former Dance Moms star walking out of the Residential Reentry Center — a halfway house where she is serving the rest of her jail sentence — as she got into a car that was bringing her to the hospital for treatment. This is the second time Abby has been transported from the reentry facility to an LA hospital in less than 24 hours to treat an "unspecified medical complaint" which was later learned to be hypothyroidism. And while Abby was in too much pain to speak to the paps before heading to treatment, TMZ caught up with her weight loss surgeon — Dr. Michael Russo — who explained what kind of pain she's in. "Essentially what we're looking at here is she was recently hospitalized twice," he said. "She's having severe pain in her back, and then her medications that she was taking regularly, she essentially was taken off them, so because of that, it landed her in the hospital. She's getting better, but she's going to need some really close medical care, and that's what I'm providing her with today." Dr. Russo mentioned that although Abby probably wouldn't stay overnight at the hospital, he's still very "worried" about her. He told Entertinment Tonight, "When Abby first went to the ER, she was almost unable to move [her] arms and legs and was having trouble getting out of bed." She reportedly couldn't even hold a spoon. Now that she's getting treatment, Dr. Russo said she's in better spirits. He continued to open up to TMZ about certain medications she needs and why not taking them has been so detrimental to her health. "Currently she's on a number of medications. The one that's of main concern is her thyroid medicine," he shared. "Her thyroid medicine was held and she was off it for a number of months, almost three months, and because of that she got very, very sick leading to her hospitalization. She's getting better, but still, she has a long way to go, and her back pain is severe right now." The notoriously harsh dance teacher has been serving time behind bars for the past eight and a half months on bankruptcy fraud charges. She is scheduled to be released from the halfway house on May 25.